Gina Stoj Management started in Newcastle, NSW in 2002 in response to the need for talented Newcastle actors to be represented by an agent. The overwhelming response to her proactive, results-driven approach was so great, that by the end of this first year, actors from Sydney & beyond were asking to join the Agency. What was so unique about this boutique agency in Newcastle? Gina knew that being a successful agent requires two equally important ingredients. Firstly, the agency has to be dedicated to developing acting opportunities. Building & strengthening working relationships in the industry with casting agents, producers, directors & other managers has been the foundation stone for creating successful opportunities for her actors, & Gina is continually focused on the significant local market, & more recently in the USA. But, as any agent knows, the level of success in this industry also requires the development and nurturing of potential talent. Gina believes that a “good actor is a working actor” where experience & exposure is the key to progress. GSM encourages actors to continually work on their acting skills, & manage their careers like a business. Gina expects her actors to adhere to high standards that she has set for herself & her agency. This includes being available to contact & audition, being prepared, undergoing any required training or development, & having a professional attitude to work. One of the most exciting developments over the past two years has been the expansion of the Agency into Los Angeles. The opening of GSM in the USA has been encouraging even at this early stage, & Gina will continue to work on creating opportunities in this market. Yet the backbone of GSM will always be in Australia. The significance of the Australian market is underrated, yet the quality of work that is produced is often world class. Add to this the large varied countryside, professional & innovative people in the industry, & it is no wonder that international production companies are looking more & more to Australia to shoot their next commercial or movie! From the day the Agency was opened for business in 2002, it has always been a dedicated, proactive service for actors, providing to the industry looking for professional, talented & focussed actors that will contribute to the success of any venture. 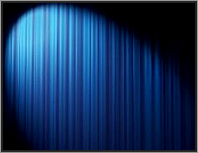 To ensure that GSM continues to provide the proactive, response driven individualised service that is essential to success, the Agency is only able to accept dedicated actors with reasonable industry experience, total commitment to continuous training & full availability for attending auditions, meetings & upcoming work.